How can I create a zero-length point feature between two DNA bases? 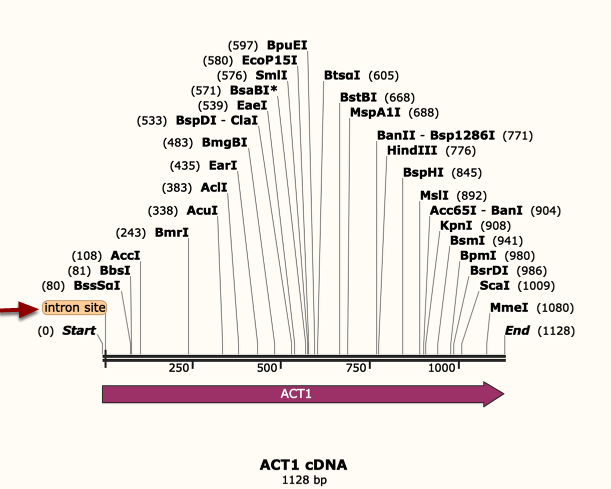 Near the beginning of this cDNA sequence, a single intron was spliced out. 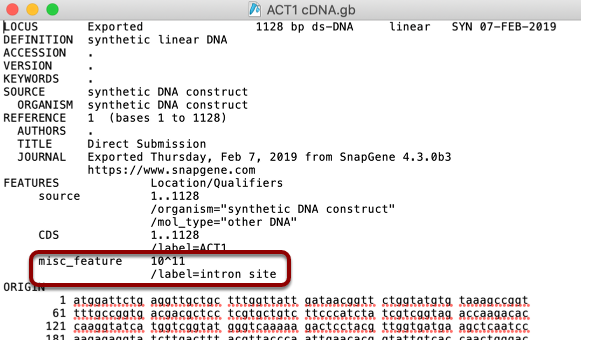 Our goal is to mark this intron splice site as a zero-length point feature. We know the intron was between bases 10 and 11. Click to place an insertion point cursor at this position. To add a point feature, click Features → Add Feature... . Type a feature name, select a feature color, and add a note if desired. Then click OK.
A point feature now marks the intron splice site. When the point feature is selected, it is marked in the DNA sequence with a blue line. To deselect the point feature, click elsewhere in the window. In Map view, the point feature is annotated as a bar in the DNA line. In Features view, the point feature is listed as a zero-length feature between two bases. 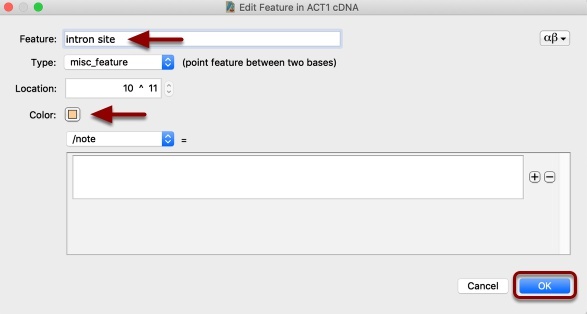 To export the sequence and feature annotations to standard GenBank format, click File → Export → DNA... . Type the file name, verify the file format, then click Save. The exported GenBank file lists the point feature.